Clearing will open in the summer, but you can apply direct to us at any time, with entry points in September and January. 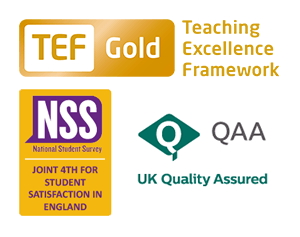 Ranked first in the UK for our teaching quality by TEF, our high-quality small group teaching is a hallmark of the University of Buckingham. You’ll have regular access to the academic experts in your field which isn’t always available at larger universities. I'm from Vietnam originally and studied A-levels in the UK. When I didn't get my first choice I was looking for strong accounting degrees. Buckingham's two-year course really hooked me in as I could do everything faster, and do an MA in the same amount of time. Looking back I have no idea why I didn’t apply to Buckingham originally! My teaching experience here has been brilliant – it’s the best I’ve ever had throughout my whole education. You really get to know the teachers on a one-to-one level, you build up a connection and they really know what works for you. I tell my friends about my time here and they don’t have that at all. Our fee structure is different from that of most other UK universities. Therefore, you can make a saving on your living expenses, and enter graduate employment or further study a year earlier than if you studied elsewhere. UK and EU students also qualify for Student Loans for living expenses in the same way as other UK universities. Yes! There’s plenty of accommodation choice still available in our student residences. Whether you want an en-suite bathroom or to live in a designated quiet area, our range of accommodation has something to suit your budget and needs. We have seven accommodation options on our Hunter Street Campus, five different accommodation options on our Verney Park Campus and two accommodation options at Moreton Road . Applying for accommodation at Buckingham is quick and easy. Simply select your top four places you would like to stay in. Campus visit days are a perfect opportunity to explore both campuses, see accommodation and meet current students. Do I need to confirm my clearing offer? If you apply direct - you will need to contact us and return your acceptance statement. If you apply through UCAS - you will need to log onto the track portal and confirm “Buckingham” as your clearing choice. 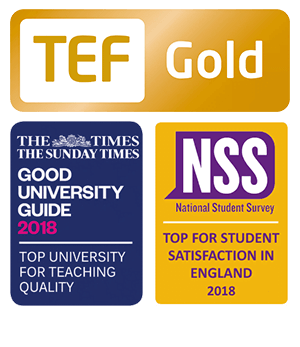 Once you have confirmed your place to study with us you will need to let Student Finance know of any updated course details, including new place of study. If you’ve confirmed your place to study with us but have not made an application to Student Finance you will need to apply right away. What if I am an EU student? EU students who have lived in the UK/EU for three years before their course start date can apply for a Tuition Fee Loan. To apply as an EU student, you will need to fill out the appropriate student finance form. How do I get a visa to study in the UK? Once you have confirmed your place to study with us we will send you a written offer which will detail the next steps to take.Once you have completed these steps, a confirmation acceptance to study letter (CAS letter) will be sent to you. For more information, see the Student Visa page.